Recent Colloquy research found that there are 2.65 million loyalty program memberships in the United States, an increase of 26.7 percent since 2010. This is great, but before you jump on the loyalty program bandwagon, there is much more you need to know. Gallup research shows that loyalty programs only work when paired with customer engagement – the emotional connection between a customer and a business/brand. 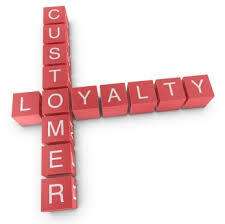 Unfortunately, having a loyalty program does not automatically translate into engagement. As proof, the same Colloquy research found that active participation in loyalty programs declined 4.3 percent, indicating that after people sign up, businesses have trouble continuing to engage customers. Make it fun. Think of your loyalty program like a game. How do customers "play" and what do they "win?" Having a fun program with attractive incentives will excite your customers and even bring out their competitive side. Keep it simple. You don't need an elaborate point system or a million rewards to have a good loyalty program, so if your staff or customers are confused, it's a signal you've gone too far. Make sure the sign-up process is easy and fast, and consider a sign-up bonus as a great way to promote initial engagement. Get the word out. Have your staff promote the program to customers – the conversation itself can be an effective form of engagement for your business. To catch former customers who haven't come in lately, spread the message on your website and your social media. Perka – Perka is a loyalty program that works on phones – not just smartphones either, it also works on older phones via text messages. The Perka team connects with you to custom design your loyalty program, and customers receive rewards based on purchases that are verified by your staff, either in a punch card or point system. Plans start at $35 a month. Belly – With Belly, your loyalty program takes the form of an app. When you sign up you'll receive a tablet for your business. Customers then download the app or get a free physical card to join your loyalty program. When customers come into your establishment, they scan their card or phone on the tablet to check in. You choose the rewards and customers redeem when they have accumulated enough points. Plans start at $79 per month. RewardLoop – RewardLoop works with the ability of smartphones to scan QR codes. The business owner connects a printer adapter to their POS and printer, and then receipts print with QR codes on the bottom. Customers scan these codes and accumulate punches or points, redeemable for rewards set by the business owner. Plans start at $40 per month. This list is just a small sample of loyalty program businesses; others include Swipely, Foursquare, Affinity Solutions, Punchtab, FiveStars, Cardfree, and many, many more. Customize your loyalty program. Engagement is about developing an emotional connection to your business or brand. Include your company logo and strive to create rewards and incentives that are uniquely you. Get to know your customers. Some of the programs mentioned above include the ability to see customer-level data or to send individualized rewards (for example, via email). Tailoring your program to your best VIPs will let them know how much you appreciate their loyalty. Promote! Whether it's in store, on your website, or on your social media, you should always be promoting your loyalty program and communicating any news or changes about the program. As an added bonus – some loyalty programs that run on smartphones allow customers to 'check in' on their social media, giving you free online advertising. Track the program. You want to make sure the program is working for you and your customers, so track things such as total members, daily activity, changes in sales, and out of pocket costs. Some loyalty program options come with free analytics to help with this. Also, don't forget that the best way to track your loyalty program is through customer feedback. Loyalty programs can be a great way to create buzz and gain faithful customers – but no loyalty program can work without engaging your customers. Plan your program carefully with an emphasis on engagement, and your loyalty program is sure to succeed.